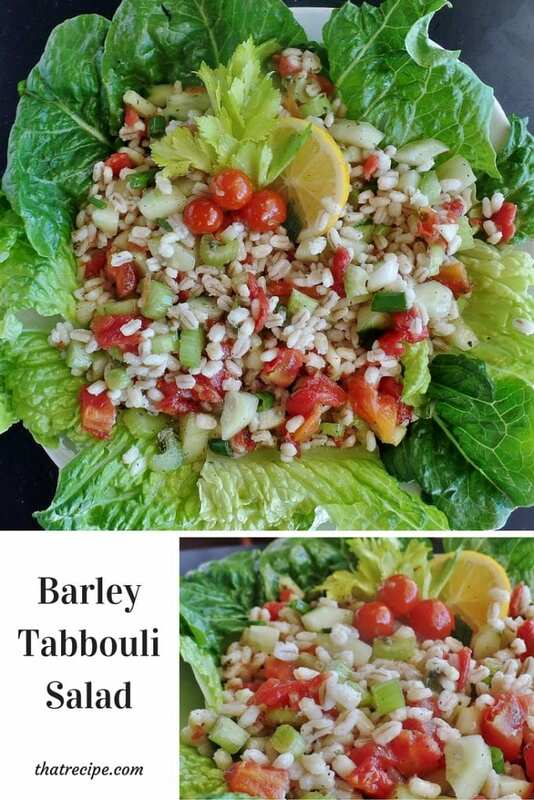 A New Twist on Classic Tabbouli Salad, Use Barley Instead. This delicious and healthy Barley Tabbouli Salad is great by itself anytime or as a side dish for barbecues in the summer. The lemon and mint are a refreshing combination that mix well with many main courses. The recipe was on Ma’am’s original site and it has been on my blogging to do list to make and photograph it. Unfortunately I didn’t have any bulgur wheat in the house to make it today. But, I did have some precooked barley that I wanted to use up so I went with that instead. Both ways are delicious and take about the same amount of time. 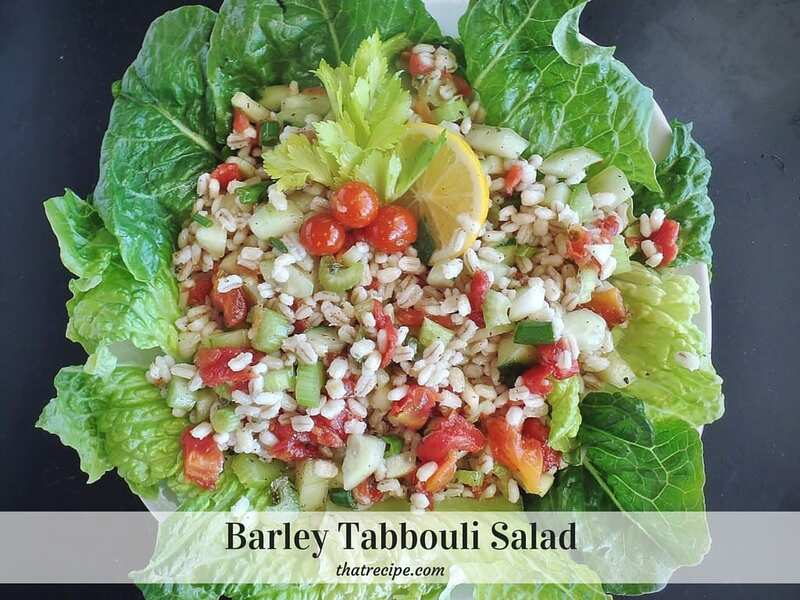 The looooooooooong cooking and preparation time in the recipe below is all sitting time either for the barley or bulgur to cook or for letting the prepared salad sit in the fridge to let the flavors meld. Barley Tabboulli (Tabbouleh) - middle eastern salad made with barley, tomatoes and cucumbers with a lemon mint vinaigrette. 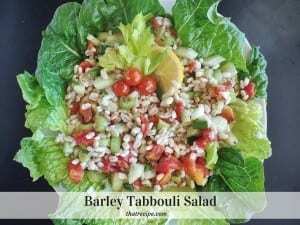 The salad is traditionally made with bulgur or cracked wheat instead of barley. To prepare the bulgur: pour boiling water over wheat in large bowl. Let stand 1 hour. Drain well in a colander and put back into bowl. Combine barley (or bulgur) and vegetables in a medium bowl. In a small bowl whisk together lemon juice, oil, salt and pepper. Immediately pour over salad ingredients and toss to coat. Place in refrigerator and chill for 2 hours. Serve on individual salad plates or on a platter over a bed of lettuce leaves. Garnish with sprigs of fresh mint and a slice of lemon and tomato. Sounds delicious! Such fun flavors 🙂 Thanks so much for hosting! Thanks for hosting, Audrey. Have a great week.